Rathmann (Good Night, Gorilla) brings a lighter-than-air comic touch to this outstanding, solid-as-a-brick picture book. Officer Buckle, a mustachioed policeman who wears a crossed-out-banana-peel patch on his sleeve, has a passion for teaching students about safety, but his audiences tend to doze off during his lectures. They awaken, however, when police dog Gloria joins Buckle onstage. 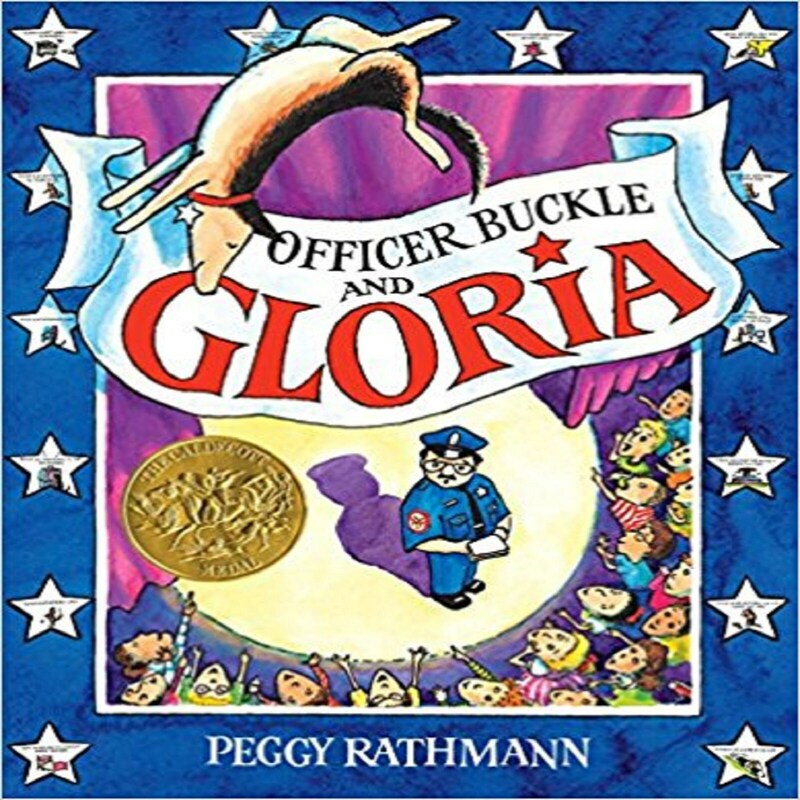 As Buckle speaks, Gloria-behind Buckle's back-mimes each safety lesson (e.g., leaping sky-high for "Never leave a thumbtack where you might sit on it!" and making her fur stand on end to illustrate "Do not go swimming during electrical storms!"). School safety increases tenfold and Buckle and Gloria find themselves in great demand. But when he finally learns of his sidekick's secret sideshow, Buckle's feelings are terribly hurt. Rathmann's high-voltage cartoons, outlined in black ink for punchy contrast, capture her characters' every feeling, from Gloria's hammy glee and Buckle's surprised satisfaction to Gloria's shame at having tricked her partner. In a sound and sensitive conclusion, Gloria's disastrous attempt to go solo inspires Buckle's "best safety tip yet": "Always stick with your buddy!" As a bonus, equally sage sayings decorate the volume's endpapers. Ages 4-8.